2019 is the 50th anniversary of the Stonewall Riots that led to birth of modern Pride as we know it and we are going to celebrate in style. Lyndsay Burtonshaw is a participatory facilitator and activist, specialising in public speaking, Theatre of the Oppressed, power dynamics, spiritual activism, and radical youth work. Passionate about creating transformative spaces for people to build social justice together, they work with collectives Navigate, Resist + Renew and Beautiful Trouble, and organise with LGSMigrants, Plane Stupid and End Deportations. In their spare time they cycle mountains, and hang out at punk gigs, Quaker meetings, and herbal medicine gardens. 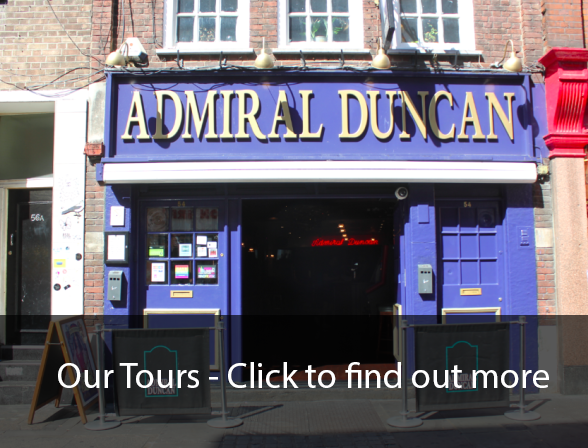 Lyndsay specialises in Bloomsbury History tours. Kate Hodkinson is a queer activist, and the founder of The People’s Film Club (www.facebook.com/thepeoplesfilmclub). 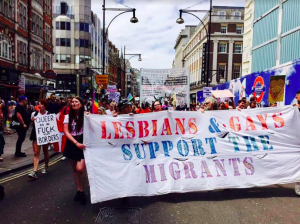 I am an organising member of Lesbians and Gays Support the Migrants and a campaign speaker for Campaign Against the Arms Trade. 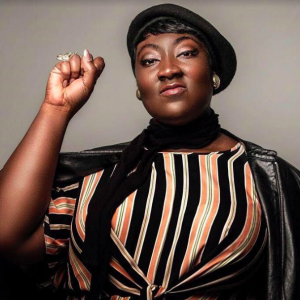 Ms Opoku-Gyimah who is also known as “Lady Phyll”, co-founded UK Black Pride in 2005. The organisation is dedicated to the celebration of black LGBT culture in the UK, putting on an annual Pride event and running networking and social events through the year. 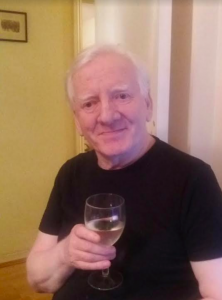 Terry Stewart is a dashingly handsome 65 year old Gay Free Radical from The Island of Ireland. 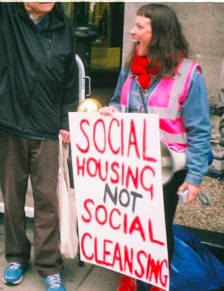 Recent Quote on Terry, “I am really glad that I have not been personally insulted by Terry Stewart”.Terry has been a life long campaigner on many National and local Human Rights issues, such as Deaths in Custody, Immigration, National Liberation, Racism, LGBT Rights, Irish Travellers Rights, Housing, Health and Mental Health Advocacy. Terry is currently leading a National Campaign for The Decriminalization of all Gay Men, under The Sexual Offences Act, section 32. 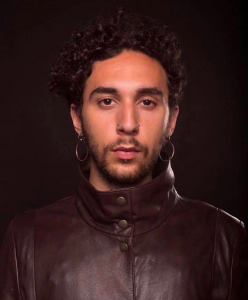 Erkan is a queer writer and independent activist of colour based between the UK and Germany. With a background in Middle Eastern politics, gender and migration, Erkan’s research has focused notably on the experiences of advocacy and transnational solidarity for queer migrants in Berlin. 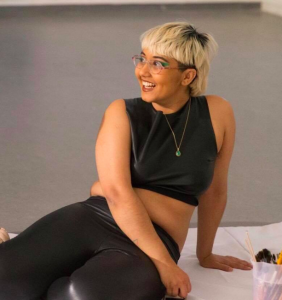 An avid believer of decolonising the contemporary structures of knowledge, they are currently conducting a residency in Berlin – funded by the European Commission – to challenge the inaccessible nature of academia and encourage more opportunity for self-representation. Katy Jalili (Katayoun Jalilipour) is a genderqueer Iranian-born multidisciplinary artist, performer and writer. They were formally a writer for Shades of Noir. They now work in student activism, and perform across the UK’s cabaret scene. The event is free and wheelchair accessible / All donations to ‘Stansted 15 / End Deportations / Lesbians and Gays Support the Migrants (LGSM) / all tickets at www.queertoursoflondon.com / be sure to book your tickets ASAP as there are limited spaces!